The wait it over! 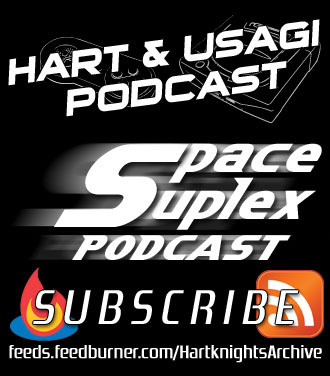 A brand new episode of the Hart & Usagi Podcast is here! We chat about a variety of news and announcements since E3 surrounding PlayStation like the PS Plus price hike, the PS4 Pro, the new firmware update among other items of note and interest. March is a month of big releases and one of the mainstays of this month over the last eight years has been God of War. Being a big fan of the series I was quite disappointed of the demo for Ascension. I’m sure I’ll pick it up eventually, but I don’t feel the need to right away like I have in the past. I’m more interested in Tomb Raider and a possibility of Darkstalkers Resurrection, a compilation of the second and third arcade games.